A Wisconsin tribe may legalize marijuana, Ohio foes line up against the legalization initiative there, more Washington state dispensaries will be forced to close, a Utah SWAT reporting law shows what those squads are up to -- and it isn't hostage situations or "active shooters" -- Bolivia coca growing down, and more. Ohio Legalization Initiative Foes Get Organized. Business, children's advocacy, parents, religious groups, and other groups organizing to defeat the ResponsibleOhio marijuana legalization initiative have formed an opposition organization, No on 3. Some are opposing it because of its limitations on who could grow commercial marijuana; others, like the Ohio Children's Hospital Association, have more traditional plaints: "The legalization of marijuana in Ohio at this time and the way issue three proposes would set too dangerous of a precedent and put at risk the other three million kids in the state," said Nick Lashutka, president of the association. Wisconsin's Menominee Tribe to Vote on Legalizing Marijuana. The Menominee, one of the poorest tribes in the country, are set to vote this week on whether to legalize and sell marijuana. The move comes after the state rejected the tribe's plan to build a casino in Kenosha. The Menominee say they are interested in marijuana to "Explore all opportunities to diversify the tribe's economy, create jobs, and provide revenue to the tribe necessary to fund health, education, social, law enforcement and and other important services." Most Tacoma Dispensaries to Be Shut Down. The city council this week decided to shut down most of the city's 60 unregulated medical marijuana dispensaries. The dispensaries have 45 days to close. After passage of Senate Bill 5052, which essentially folds the medical marijuana system into the recreational marijuana system, dispensaries and collective gardens will have to get licenses from the state beginning next July 1 or shut their doors. Utah SWAT Reporting Law Shows Overwhelming Majority of Deployments Were for Drug Raids. Utah passed a SWAT reporting law last year, and now the first numbers are in. They show that SWAT teams were deployed nearly twice a day (559 reported incidents, with 25% of agencies failing to report) and, most startlingly, 83% of all SWAT deployments were to serve search warrants for drug offenses. Two-thirds (65%) of the drug raid SWAT deployments either "no-knock" or "knock and announce" raids where police force entry into homes without giving residents a chance to just let them in. Much more at the link. Bolivia Coca Production Falls for Fourth Straight Year. The UN Office on Drugs and Crime announced Monday that the amount of land devoted to coca production dropped by 11% last year, continuing a trend that has seen land devoted to coca drop by more than a third since 2010. 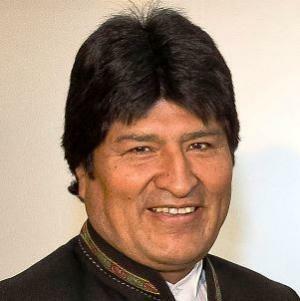 President Evo Morales touted his government's approach as more effective than the US-led war on drugs. "Eradication and fighting a war on drugs with military bases is not the solution, as we've seen in some Andean countries, where there are US officials waging the war on drugs," he said. He was referring to the world's two largest coca and cocaine producers, Colombia and Peru, where eradication efforts have provoked sometimes bloody strife. A new national pot poll has good numbers and so does a Vermont poll, a Washington state home grow bill is filed, a Missouri hemp bill moves, the DEA warns on fentanyl, critics pounce on the UNODC over aid to Iran, and more. Benenson Strategy Group Poll Has Support for Legalization at 61% Nationwide. The poll, which has a 3.5 +/- margin of error, also has 72% for decriminalization. A General Social Survey poll, the "gold standard" of polls, last week had support at 52%. Other recent polls have also found support above the 50% mark. In this week's BSG poll, Republicans were practically split, but 59% of GOP voters under age 50 supported legalization. Massachusetts Initiative Group Warns Legislators on Excessive Taxation. The group Bay State Repeal, which intends to run a legalization initiative campaign next year, has released a statement saying it welcomed legislative efforts to legalize it, but cautioned against excessive taxation and fees. "A major aim of legalization is to limit access to minors by driving out the black market," the group said in its statement. "But inevitably, unlicensed producers will continue to supply consumers at the black market if legal marijuana is more expensive." Vermont Poll Has Support for Legalization at 54%. A new Castleton Polling Institute survey has a majority for legalization, with 70% of respondents under 45 in favor and 61% of respondents over 65 opposed. The poll comes as the legislature considers a legalization bill, but signs are the bill will not move this year. Washington State Bill Would Allow Home Grows. Washington is the only legalization state that does not allow home cultivation (except for medical), but a pair of bills introduced today would change that. Senate Bill 6083, sponsored by Sen. Jeanne Kohl-Welles, and House Bill 2196, sponsored by Rep. Brian Blake, would let adults 21 and over grow up to six plants and possess up to eight ounces of their harvest. North Carolinians Rally for New Medical Marijuana Bill in Raleigh. More than a hundred people rallied at the state capitol today in support of House Bill 317, which would allow for medical marijuana use by terminally ill patients. Rep. Kelly Alexander formally introduced it today. Tennessee GOP Senator Says He Will File Medical Marijuana Bill. State Sen. Steve Dickerson (R-Nashville) said today he is working on a bill that would allow for medical marijuana. He said he expected to have final details by Monday. A Democratic bill in the House has yet to make it out of committee. Missouri Hemp Bill Heads for House Floor Vote -- Maybe. An industrial hemp bill, H.B. 830 has passed its final House committee hurdle and awaits a House floor vote. But it is unclear whether House Majority Leader Todd Richardson (R-Poplar Bluff) will give it time for a debate and a vote. DEA Warns on Fentanyl. Fentanyl is increasingly showing up in heroin, the DEA warned yesterday. The opioid is up to 50 times stronger than heroin, and dealers are using it to increase the potency of their products, but the result can be accidental overdoses. "Drug incidents and overdoses related to fentanyl are occurring at an alarming rate throughout the United States and represent a significant threat to public health and safety," said DEA administrator Michele Leonhart. State Department Releases Annual International Narcotics Control Strategy Report. "The two-volume report offers a comprehensive assessment of the efforts of foreign governments to reduce illicit narcotics production, trafficking and use, in keeping with their international obligations under UN treaties, while also presenting information on governments' efforts to counter money laundering and terrorist financing," State says. Click on the link to read the report. 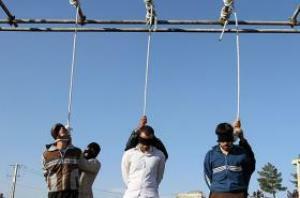 UNODC Preparing New Iran Aid Deal Despite Drug Executions. The UN Office on Drugs and Crime (UNODC) is planning a new five-year financial assistance deal with Iran, one of the world's leading executioners for drug crimes. Iran executed at least 350 drug offenders last year and about two a day so far this year. That has critics very unhappy. "Iran has hanged more than a hundred so-called drug offenders this year, and the UN has responded by praising the efficiency of the Iranian drug police and lining them up a generous five-year funding deal," said Maya Foa, strategic director of the death penalty team for Reprieve, a British advocacy group. Israeli Marijuana Party Fails to Reach Threshold to Enter Knesset. Aleh Yarok, the Israeli political party pushing for marijuana legalization, failed to gain the 3.25% of the popular vote needed to give it representation in the Knesset. Aleh Yarok garnered only 38,000 votes, or 0.97% of the vote. The party may have lost some votes to Meretz, which appealed to youth voters by also embracing marijuana reforms. Kenaz Filan thinks that Poppy (always capitalized in the book) is a sentient being. Before you roll your eyes as you recall the fervent mushroom cultists who say the same sort of thing, recall also that more mainstream authors, such as foodie Michael Pollan, have been known to talk like that, too, posing similar questions about what plants want. I'm not personally convinced about the sentience of plants, but I find that adherents of such a position definitely bring something of value to the table: respect for their subjects. The opium poppy certainly deserves our respect. It can bring miraculous surcease from suffering through the pain-relieving alkaloids within, but those same alkaloids can also bring addiction, oblivion, and death. Our "most dangerous plant ally" can be both kindness and curse, boon and bane. Only by respecting Poppy, writes Filan, can we learn how best to manage our relationship with her. 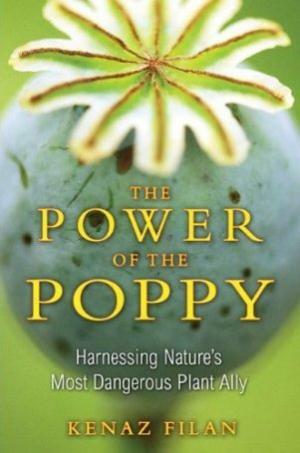 The Power of the Poppy is part historical treatment, part cultural essay, part pharmacopeia, part practical guide. As such, positions on plant consciousness notwithstanding, it's a fascinating and illuminating treatment of the poppy and its derivatives. Filan traces the history of man's relationship with poppy from 6,000-year-old archeological digs in Europe, through early uses in the Roman empire and the Islamic world, and on to the current era of the war on drugs. While Filan addresses the war on drugs and finds it stupid, this is not mainly a book about drug policy, and he dismisses the issue in short order. "Our war on drugs has been a one-sided rout," he writes in the introduction. "We keep saying 'no' to drugs, but they refuse to listen." In his few pages devoted to the past century of opium prohibition, he reiterates the futility of trying to stamp out poppy even as its cultivation spreads. "Poppy is happy to fulfill our needs as long as we propagate her species," he writes. "To her, our 'war' is like locust invasions and droughts -- an annoyance, but hardly something that will endanger the continued existence of her children." From there, Filan turns to the chemistry and pharmacology of opium and its derivatives and synthetics. He traces the isolation of morphine, codeine, heroin, thebaine (from which is derived hydromorphone [Dilaudid], oxymorphone [Opana], hydrocodone [Vicodin], and oxycodone [Oxycontin]), kompot (East European homebrew heroin), methadone, and fentanyl. Along the way, Filan touches on such topics as the lack of pain-relieving poppy products in the developing world, the development of Oxycontin and the rapid spread of "hillbilly heroin," and controversies over needle exchanges, safe injection sites, and methadone maintenance therapies. In nearly every case of the development of a new opiate or opioid drug, researchers were hoping to find a substance that maintains poppy's analgesic qualities while eliminating or at least reducing its addictive ones. No such luck. "Despite the best efforts of our chemical minds," Filan writes, "Poppy still demands her bargain…Even as we go to war with Poppy, we are forced to do business with her." In his next section, demonstrates the bargain poppy extracts as he profiles 11 famous users, including Confessions of an Opium Eater author Thomas de Quincy, Samuel Taylor Coleridge, William Burroughs, Lou Reed (whose Velvet Underground-era Heroin and Waiting for My Man put the 1960s New York junkie experience to music), and DJ Screw, whom I must confess I never heard of until reading The Power of the Poppy. Mr. Screw, whose real name, it turns out, was Robert Earl Davis, was a Houston DJ who rose to hip-hop fame after smoking Mexican weed and accidentally hitting the pitch button as he mixed tapes. The ensuing distorted vocals and slowed down beats became known as "screwed down" and Davis picked up the moniker DJ Screw. Among the favorite topics of Screw and his crew was "purple drank," a concoction of soda pop, codeine cough syrup, and Jolly Ranchers candy, that created a warm, relaxed high. Screwed down music was the perfect accompaniment for a drank-fueled evening. While DJ Screw died young, in part because of his fondness for drank, he was also an overweight, fried-food loving smoker. While drank may have helped make DJ Screw, as always, poppy exacted her part of the bargain. In the final segment of the book, Filan gets practical. He describes how to grow your own (from papaver somniferum seeds widely available at gardening stores) and how to extract the raw opium. He describes poppy tea brewing recipes, as well as how to use poppy in pill, tablet, or capsule form; as well as eating smoking, snorting, and shooting it. And he doesn't stint on explaining the dangerous path one is on when one embraces the poppy. Although I don't recall Filan ever using the words harm reduction, he is all about it as he cautions about overdose, dependency, and addiction. The Power of the Poppy elucidates the many ways the histories of man and poppy are intertwined, and it's full of interesting tidbits along the way. Who knew that the use of "dope" to mean drugs came from Dutch sailors mixing opium and tobacco off China in the 17th Century? They called the mixture "doep," like a greasy stew they ate. Or that calling seedy establishments "dives" derived from scandalized descriptions of California opium dens, with the patrons reclining on divans? Or that the scientific name for snorting is "insufflation"? If you have an interest in opium and its role in human affairs, The Power of the Poppy will be both entertaining and enlightening. And -- who knows? -- maybe you'll start treating that plant and its derivatives with the respect they deserve. The Food & Drug Administration (FDA) is beginning a "massive new program" to reduce overdoses, diversion, and inappropriate use of powerful opioid pain relievers, especially targeting extended-release and patch formulations of fentanyl, methadone, morphine, oxycodone, and oxymorphone. On Monday, the FDA announced it had sent letters to 16 drug companies who produce the 24 listed products informing them they would now have to create a Risk Evaluation and Management Strategy (REMS) "to ensure that the benefits of the drugs continue to outweigh the risks." That means physicians are likely to face new procedures in prescribing the drugs, and patients are likely to face more hurdles in obtaining them, an FDA official said at a Monday press conference. But pain patients already face serious obstacles in obtaining relief. The FDA action comes in the context of a campaign by the DEA to crack down on doctors it deems to have improperly prescribed large amounts of opioid pain medication -- even though prescribing what at first glance appear to be extremely large amounts is well with standard pain relief practice. Physician's fears of being prosecuted have contributed to what pain patient advocates describe as a crisis in chronic pain relief. "Pain patients aren't drug abusers looking for a prescription fix," said Gregory Conko, senior fellow at the Competitive Enterprise Institute, which teamed up with the Pain Relief Network last May to create the Politics of Pain campaign to fight for patients' access to sufficient pain medications. "It's a genuine tragedy that the DEA often treats them and their doctors as if they were. It's as though the agency just doesn't care whether its single-minded waging of the war on drugs imposes collateral damage." The Politics of Pain campaign has collected personal stories from physicians and patients who have explained firsthand how difficult it can be to either offer or find sufficient treatment for pain conditions. In one video interview, Gulf War veteran James Fernandez and his wife tell their story of how he, once a robustly healthy US Marine, is now virtually confined to his home because of severe, ongoing pain that has been under-treated for years. In another interview, Dr. Alexander DeLuca, a board-certified specialist in addiction medicine, describes the obstacles faced by a physician trying to deliver the "standard of care" called for by his own medical training. According to DeLuca, virtually no patients in the country today receive proper treatment for chronic pain. Still, there are a lot of pain pills out there. Last year, US pharmacies dispensed 21 million prescriptions for the 24 medications listed to 3.7 million patients. "This is a very extensively used group of medications," said Dr. John Jenkins, director of the FDA's Office of New Drugs at its Center for Drug Evaluation and Research. "This will be a massive new program." Jenkins said that abuse, misuse, and accidental overdoses involving those products had been on the rise over the last decade, and the agency is concerned about doctors inappropriately prescribing them for patients who are not suffering moderate or severe chronic pain. "We continue to see case reports where someone with a sprained ankle receives a fetanyl patch or extended-release opioid," Jenkins said. Dr. Bob Rappaport, director of FDA's division of anesthesia, analgesia, and rheumatology products, told the press conference the agency was also deeply concerned with the rising non-medical use of the opioids. He cited a Substance Abuse and Mental Health Services Administration (SAMHSA) report released Monday that showed some 5.2 million people said they had used prescription opioids for non-medical purposes in the past month, and that the figure among 18-to-24-year-olds had increased from 4.1% in 2002 to 4.6% in 2007. "This is an ongoing problem, and it's getting worse," Rappaport said. Forcing the drug manufacturers to submit REMS plans is "our attempt to ensure the benefits outweigh the risks," Jenkins said. The agency will seek to find an "appropriate balance between legitimate patient need for such drugs and the threats caused by the abuse and misuse," he added. But tighter regulation isn't going to happen right away; a series of meetings with various stakeholders over the coming months are being set up to arrive at final regulations, said Jenkins. They will include patient advocates, health care professionals, the pharmaceutical companies, and law enforcement. The first meeting with manufacturers is set for March 3. Hopefully the concerns of patient advocates get heeded and successfully addressed, but it's not clear whether that is even possible with a venture of this nature given the current enforcement climate. Last year's wave of overdose deaths from heroin cut with fentanyl, a powerful synthetic opioid pain reliever, killed more than a thousand people, according to the US Drug Enforcement Administration (DEA). The deaths began early in the year in the Mid-Atlantic states before spreading to the Midwest, with significant clusters in Chicago and Detroit. Early official responses to the wave of deaths was slow and spotty, but concern spread as the death toll mounted. By December, more than 120 public health experts signed an open letter to Health and Human Services Secretary Mike Leavitt calling for a more aggressive response. The deaths have continued, but not at the torrid pace of last fall and summer. Monday's federal register. "The recent distribution of illicitly manufactured fentanyl has caused an unprecedented outbreak of hundreds of suspected fentanyl-related overdoses, at least 972 confirmed fentanyl-related deaths, and 162 suspected fentanyl-related deaths occurring mostly in Delaware, Illinois, Maryland, Michigan, Missouri, New Jersey, and Pennsylvania," the agency reported. Noting that fentanyl is 30 to 50 times more powerful than heroin, the DEA went on to warn of its dangers. "The legitimate medical use of fentanyl is for anesthesia and analgesia, but fentanyl's euphoric effects are highly sought after by narcotic addicts," the agency explained. "Fentanyl can serve as a direct pharmacological substitute for heroin in opioid dependent individuals. However, fentanyl is a very dangerous substitute for heroin because the amount that produces a euphoric effect also induces respiratory depression. Furthermore, due to fentanyl's increased potency over heroin, illicit drug dealers have trouble adjusting ("cutting") pure fentanyl into proper dosage concentrations. As a result, unsuspecting heroin users or heroin users who know the substance contains fentanyl have difficulty determining how much to take to get their "high" and mistakenly take a lethal quantity of the fentanyl. Unfortunately, only a slight excess in the amount of fentanyl taken can be, and is often, lethal because the resulting level of respiratory depression is sufficient to cause the user to stop breathing." The death toll suggests the DEA is not exaggerating in this instance. Let's be careful out there, kids. For Immediate Release: December 18, 2006 Media Contact: Dr. Sharon Stancliff Medical Director Harm Reduction Coalition (917) 653-3104 [email protected] Harm Reduction Experts Urge Feds To Stem Overdose Epidemic Deadly Opiate Linked To Hundreds Of Deaths WASHINGTON D.C. – Today over 120 medical experts, drug user health advocates, and urban public health departments issued an urgent call to the federal government to expand efforts to address a deadly wave of overdoses that have plagued injection drug users and their communities this year. The Harm Reduction Coalition (HRC), a national health and human rights advocacy group working to reduce drug-related harm, is leading the effort. Heroin contaminated with fentanyl, an opioid-based pain medication that is 50-80 times stronger than morphine, has killed well over 600 people in at least 8 states this year, including nearly 200 in Chicago, over 200 in the Detroit area, and nearly 200 in the Philadelphia area. Corey Davis, Legal Services Coordinator at Prevention Point Philadelphia, noted, "A client told us she watched her friend die in front of her and there was nothing she could do. If she had naloxone [a legal, non-scheduled prescription medication that reverses an opioid overdose] and was trained to use it, she could have saved her friend's life. We've lost a lot of our people due to fentanyl. This has to stop.” Experts believe that the number of deaths is vastly underreported, as many jurisdictions near these epicenters may lack resources, coordination, or expertise to monitor overdose trends. “This wave of overdose deaths poses an acute public health emergency and immediate threat to the lives of opiate users, while highlighting persistent weaknesses in health officials’ response to the increasing epidemic of both legal and illegal opiate overdose,” said Dr. Sharon Stancliff, HRC's Medical Director. A five-point strategy to reduce death by overdose is detailed in a letter to the Secretary of Health and Human Services, Mike Leavitt. It includes recommendations ranging from surveillance of overdose related deaths, to street drug testing, to increased availability of naloxone for use by laypersons. The letter was sent in conjunction with the 5th anniversary of HRC’s Overdose Project, which began giving drug users training and tools to recognize, prevent and reverse overdoses in December 2001. The five recommendations in the letter call upon Secretary Leavitt to ensure that: 1. The Centers for Disease Control (CDC) create surveillance systems to monitor overdose trends and threats. 2. The National Institute of Drug Abuse (NIDA) provide emergency funds for research projects to answer urgent questions that will allow jurisdictions to immediately and effectively address the overdose epidemic. 3. The Substance Abuse and Mental Health Services Administration (SAMHSA) rapidly replicate existing overdose prevention programs, and fully fund them. 4. The Drug Enforcement Administration (DEA) inform CDC of levels of purity and presence of fentanyl and other hazardous contaminants in local drug supplies so CDC can notify the public. 5. The Department of Health and Human Services (HHS) prepare an emergency report of the current overdose epidemic for Congress. This report should make emergency recommendations for prevention measures including: § Supporting community-based responses to overdose, including the use of naloxone by users and their loved ones; § Improving police and emergency medical services responses to overdoses; and § Enhancing the availability of substance abuse treatment. For full text of the letter, with complete list of signatories, see: http://harmreduction.org/news/pressreleases/leavitt_overdose_letter.pdf Overdose is one of the leading causes of accidental death in several cities across the country, including San Francisco, New York, and Portland, Oregon. In response to this public health crisis, several jurisdictions in the United States have developed overdose prevention programs that include education, instruction in mouth-to-mouth resuscitation and the provision of naloxone for use by lay persons. These programs are associated with significant decreases in overdose deaths. # # # # For more information about the Harm Reduction Coalition, visit http://www.harmreduction.org/. 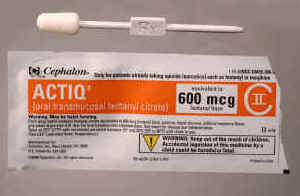 For more information about overdose prevention, visit http://www.harmreduction.org/OVERDOSE/. The drug war continues unabated on the streets of America. Despite two decades of drug reform efforts, the war on drugs continues to make America a country that eats its young. In May, we reported that the US prisoner count topped 2.1 million -- a new high -- and included more than 500,000 drug war prisoners. In September, the FBI released its annual Uniform Crime Report, showing nearly 800,000 marijuana arrests and 1.8 million drug arrests in 2005 -- another new high. And just two weeks ago, we reported that more than seven million people are in jail or prison or on probation or parole -- yet another new high. Methamphetamine hysteria continues unabated and becomes an excuse for old-school, repressive drug laws and bad, newfangled ones, too. The drug war always needs a demon drug du jour to scare the public, and this year, like the past few years, meth is it. Never mind that the stuff has been around for decades and that there is less to the "meth epidemic" than meets the eye. The "dangers of meth" have been cited as a reason for everything from targeting South Asian convenience store clerks to restricting access to cold medications containing pseudoephedrine to harsh new penalties for meth offenses to more than 20 states defining meth use or production as child abuse. Michigan even went so far as to pass legislation banning meth recipes on the Internet, while Arizona voters felt impelled to roll back a decade-old sentencing reform. Under that reform, first- and second-time drug possession offenders couldn't be sentenced to jail or prison, but now Arizona has created an exception for meth offenders. The drug warriors like to say meth is the new crack, and in the way meth is used as an excuse for "tough" approaches to drug policy, that is certainly true. The US Supreme Court upholds unannounced police searches. In a June decision, the court upheld a Michigan drug raid where police called out their presence at the door, but then immediately rushed in before the homeowner could respond. Previously, the courts had allowed such surprise entries only in the case of "no-knock" warrants, but this ruling, which goes against hundreds of years of common law and precedent, effectively eviscerates that distinction. "No-knock" raids are dangerous, as we reported that same month, and as Atlanta senior citizen Kathryn Johnston would tell you if she could. But she can't -- Johnston was killed in a "no-knock" raid last month. Marijuana legalization initiatives lose in Colorado and Nevada. After four years of effort, the Marijuana Policy Project still couldn't get over the top with its "tax and regulate" initiative in Nevada, although it increased its share of the vote from 39% to 44%. In Colorado, SAFER Colorado took its "marijuana is safer than alcohol" message statewide after successes at state universities and in Denver last year, but failed to convince voters, winning only 41% of the vote. South Dakota becomes the first state where voters defeat an initiative to legalize medical marijuana. In every state where it had gone to the voters as a ballot measure, medical marijuana had emerged victorious. But voters in the socially conservative, lightly populated Upper Midwest state narrowly rejected it in November. The measure lost 48% to 52%. California's medical marijuana movement is under sustained attack by the feds and recalcitrant state and local officials and law enforcement. This year, it seems like barely a week goes by without a new raid by the DEA or unreconstructed drug warriors in one county or another. San Diego has been particularly hard-hit, but we also reported on a spate of raids in October, and there have been more since. The feds have also started their first medical marijuana prosecution since the 2003 Ed Rosenthal fiasco, with Merced County medical marijuana patient and provider Dustin Costa going on trial last month. Hundreds die from overdoses of heroin cut with fentanyl, but the official response is almost nonexistent -- except for increased law enforcement pressure. With injection drug users falling over dead from Boston to Baltimore, Philadelphia to Detroit and Chicago, an estimated 700 people have been killed by the deadly cocktail. We reported on it in June, but the wave of deaths continues to the present. Just last week, more than 120 medical experts, public health departments, and drug user advocates sent a letter to Health and Human Services Secretary Mike Leavitt urging him to take aggressive action. Ho-hum, who cares about dead junkies? Not the federal government, at least so far. Plan Colombia continues to roll along, adding fuel to the flames of Colombia's civil war while achieving little in the realm of actually reducing the supply of cocaine. The US Congress continues to fund Plan Colombia to the tune of hundreds of millions of dollars a year, even though despite six years of military assistance and widespread aerial eradication using herbicides, it now appears that production is higher than anyone ever thought. Perhaps a Democratic Congress will put an end to this fiasco next year, but Democrats certainly can count influential Plan Colombia supporters among their ranks -- incoming Senate Foreign Relations Committee chairman and presidential hopeful Joe Biden (DE), to name just one. Afghanistan is well on its way to becoming a true narco-state. The US war on terror and the US war on drugs are on a collision course in Afghanistan, which now, five years after the US invaded, produces more than 90% of the world's illicit opium. This year, Afghanistan's opium crop hit a new record high of 6,100 metric tons, and now, US drug czar John Walters is pressuring the Afghans to embrace eradication with herbicides. But each move the US and the Afghans make to suppress the opium trade just drives more Afghans into the waiting arms of the Taliban, which is also making enough money off the trade to finance its reborn insurgency. Meanwhile, the Afghan government is also full of people getting rich off opium. Everyone is ignoring the sensible proposals that have put on the table for dealing with the problem, which range from an economic development and anti-corruption approach put forward by the UN and World Bank as an alternative to eradication, and the Senlis Council proposal to license production and divert it to the legitimate medicinal market. Australia is in the grips of Reefer Madness. While some Australian states enacted reforms to soften their marijuana laws in years past, the government of Prime Minister John Howard would like to roll back those reforms. The Australians seem particularly susceptible to hysterical pronouncements about the links between marijuana and mental illness, and they also hold the unfathomable notion that marijuana grown hydroponically is somehow more dangerous than marijuana grown in soil. Over the weekend, the national health secretary announced he wants to ban bongs. That's not so surprising coming from a man who in May announced that marijuana is more dangerous than heroin. Hopefully, saner heads will prevail Down Under, but it isn't happening just yet.